What better house warming present than helping your friends or family on moving in day with a gift box with everything they'd want for a stress free move into their new home. Moving day new home gifts include tea, coffee, chocolate biscuits, even dusters and rubber gloves. 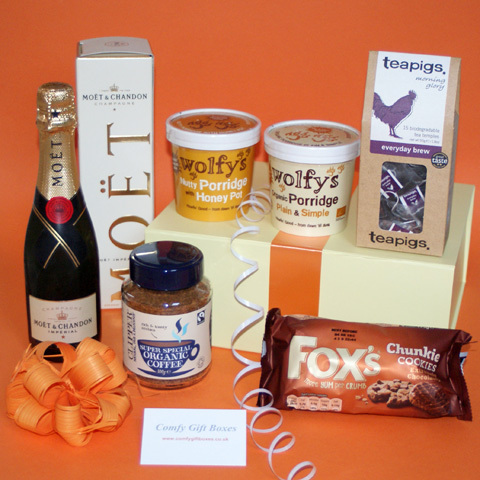 The best and most useful housewarming presents, gift wrapped, tied with luxury ribbon then boxed with a personalised gift card. 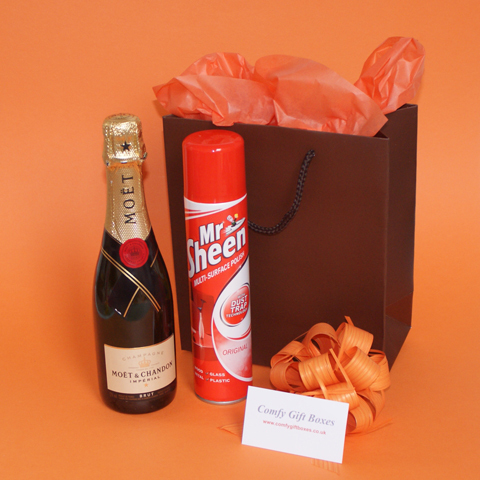 Below are our selection of moving day gifts, fun presents (champagne and furniture polish!) to receive when moving into a new home. 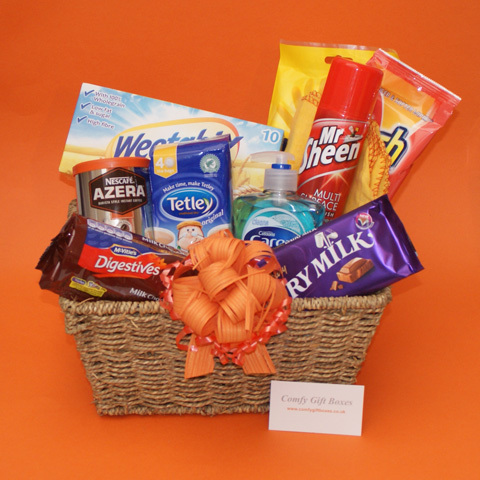 We also offer a selection of other housewarming gift baskets to congratulate and celebrate moving house. Would your company like to send multiple moving day gifts? 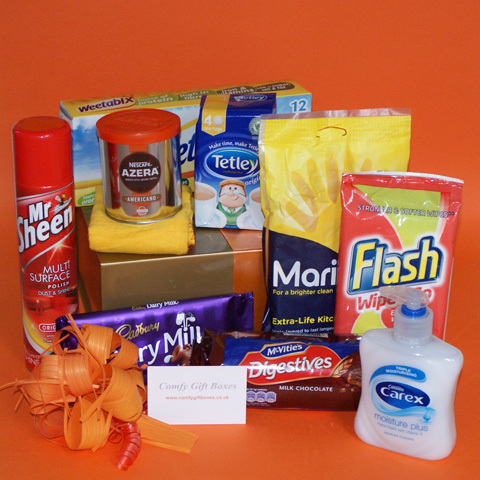 If you or your company help to house families or individuals, are a house builder, an estate agent or perhaps you manage housing projects and you would like to send our moving day house warming gift boxes (or a variation of them) to your clients to welcome them to their new home please contact us and we will be pleased to discuss you requirements.